Under What Circumstances Can My Spouse Have A Marital Interest In My Non-Marital Property? The most common scenario in which this takes place is when a Court determines that property value has increased during the marriage, and there were contributions of services/labor by a spouse during the marriage which directly correlated to the value increase. Yet depending on the nature of the property and the services, this can be difficult to prove. In order for the Court to make this finding, there must be proof of the value of the property at the time of the marriage and proof of the increased value of the property at the time of the divorce. If you cannot prove what the value of the property was at the time of the marriage, you will most likely not be able to prove that there exists a divisible marital interest in this property. However if these values can be proven, it is the burden of the party who is seeking an interest in their spouse’s non-marital property to convince the court that the reason the property value increased is due to labor or other marital contributions put into the property during the marriage and not just a change in market conditions. 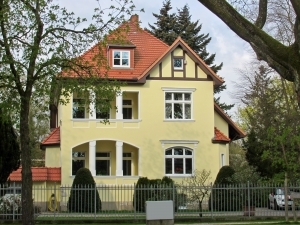 For example, if you owns real estate at the time of the marriage, free and clear of any mortgage, and that property value increases throughout the marriage due exclusively to an increase in the real estate market and not due to services or labor which contributed to improvements on the property, the increased value would likely be viewed as non-marital and may not be divided. However, the same Judge may find that increase to be marital if it can be proven that the value was increased due to spousal labor or services put into the property or the contribution of marital funds to improvements on the property during the course of the marriage. Under this scenario, that increase in value becomes divisible as a marital interest and can be awarded as part of the property division in your divorce. The preceding is a very simple example of what can be a complicated legal issue. Therefore, it is critical that you work with legal counsel who is experienced and educated on the law as well as one who has insight into how your Judge views the particular circumstances of your property division. For a discussion of those circumstances where non-marital property can be converted to marital property visit our blog again soon. And for a discussion of the property division in your family law case, please contact one of our experienced Missouri family law attorneys.